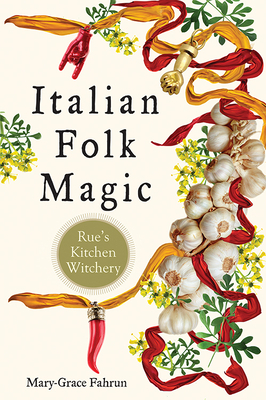 The book contains magical and religious rituals and prayers and explores divination techniques, crafting, blessing rituals, witchcraft, and, of course, the evil eye, known as malocchio in Italian--the author explains what it is, where it comes from, and, crucially, how to get rid of it. Mary-Grace Fahrun was born in Bridgeport, Connecticut, to Italian immigrant parents and grew up in the Italian neighborhoods of Montreal and Connecticut. She describes herself as "an avid keeper of customs, traditions, and secrets" and is an authority on Italian folk magic and folk healing traditions. Visit her at www.rueskitchen.com.